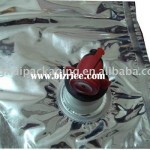 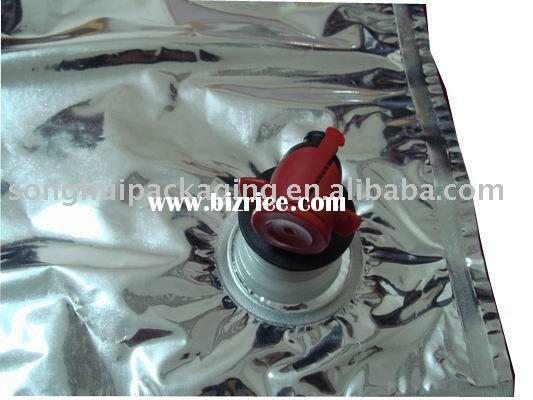 The wine comes in specially designed wine pouches contained within leakproof cartons which are easily inserted into the wooden barrel.These sterile vacuum pouches ensure a long shelf life of up to 60 days, and provide a clean, green, and economical method of enjoying wine.The barrels and pouches come with pressure taps that open and close automatically for fast and safe pouring. 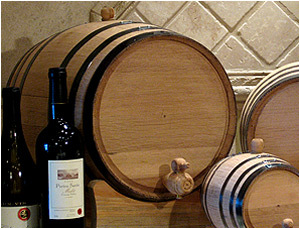 Order your wine in 5 or 20 liter barrels which we will ship directly to your home or business. 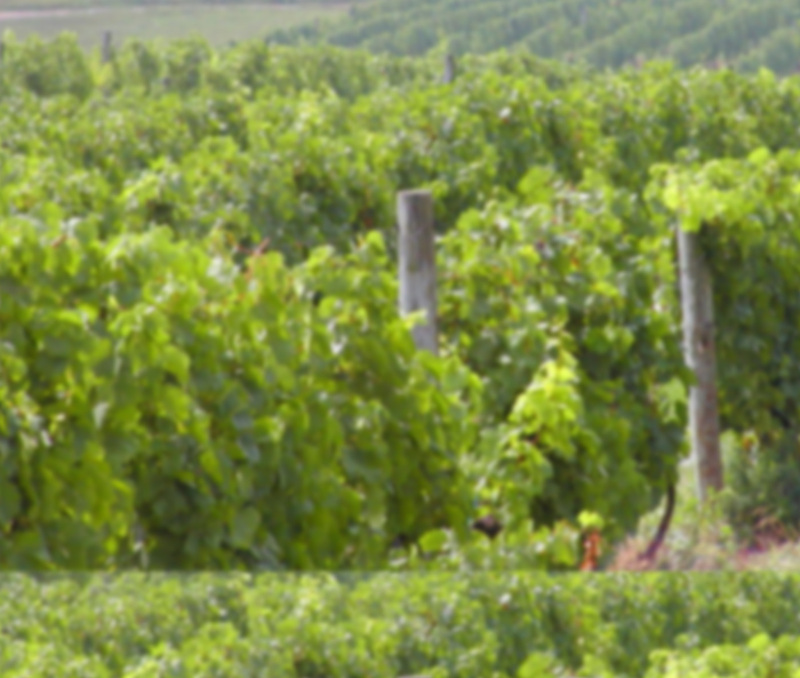 Your barrel is a a one-time purchase and the wine refills are auto-shipped at any interval of your choosing. 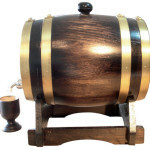 Red wine in 5 or 20 liter oak barrels.